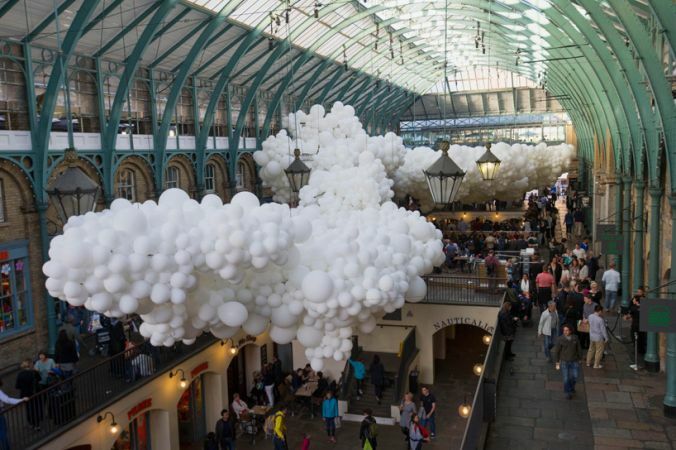 As part of his ongoing “Invasions” series, French artist Charles Pétillon has filled the 19th-century Market Building in London’s Convent Garden with 100,000 white balloons. 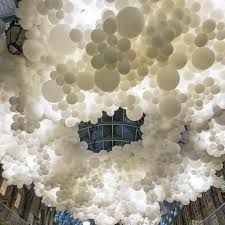 The installation is entitled Heartbeat and is huge – it measures 54 metres in length and 12 metres in width. Everything held in place by the market’s pitched roof and supporting arches; needless to say the result is breathtaking. 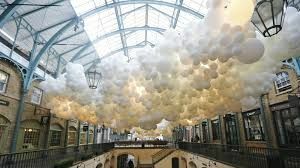 Installation art is a favourite of ours, as it demands attention and creates a beautiful work of art that people can interact with.